Whether he loves fitness, fun in the sun or a little bit of both these fun gifts are almost guaranteed to get you a big bear hug from your dear old dad. Beer-loving dads who are always on-the-go will appreciate the ability to easily stash their six pack in this convenient, easy-to-carry cooler. What could pair more perfectly with an easy-to-carry six pack cooler than an insulated, portable beer mug? Hydro Flask’s True Pint is BPA-free and made with 18/8 food-grade stainless steel and a double wall vacuum that will keep dad’s beer cold on any outdoor adventure. 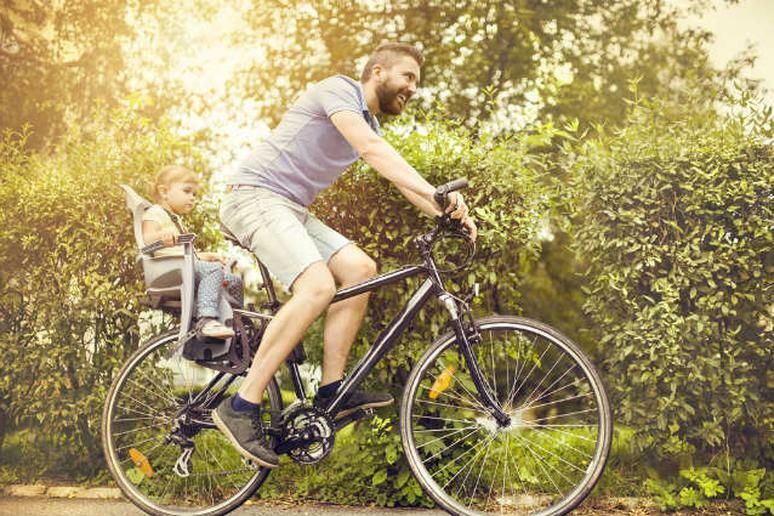 For the environmentally-conscious dad who’s always looking for a new outdoor adventure, these eco-friendly sunglasses will help kick-off his summer excursions in all the right ways. Made of plant-based materials from Switzerland and with Zeal’s signature e-llume polarized lenses, the Cascade is designed to help dad perform and kick back in style. Alden Mills, former Navy SEAL and founder of Perfect Fitness, wrote this family-friendly motivational story to inspire his four sons using a fun parable. Dads who love a good read will find inspiration on every page and might even enjoy sharing it with the whole family. This convenient camp accessory is powered by wood and other biomass (so no petroleum gas is needed) and its side feed entry makes refueling easy, too. A perfect gift for tech-savvy, outdoorsy dads, the BaseCamp converts heat from the fire into electricity so that dad can recharge his phone, lights and other gadgets while he grills. For dads who love to run, swim or bike (and the ones who do all three, too) this Tom Tom watch was designed with easy use in mind. Whether running, swimming or biking the large display and one-button control allows for a quick view of your stats, but the sleek design means his wrist won’t feel weighed down. And especially if dad spends tons of time in the pool, he’ll definitely appreciate the built-in swim sensor that can record metrics like stroke efficiency, type and length.